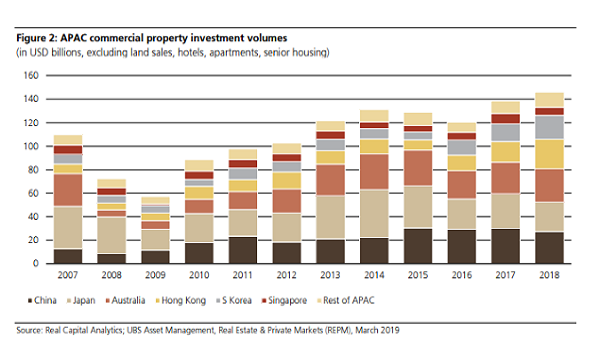 Data from Real Capital Analytics (RCA) showed that total investment volume into APAC commercial property in 2018 came off marginally from a year ago but is still close to all-time high levels at $163b, according to UBS Asset Management’s 2019 real estate outlook. Excluding multifamily apartments and hotels, total APAC investment volume into the traditional commercial asset classes of office, retail and industrial properties topped the record set in 2017 to hit a high of $146b in 2018. 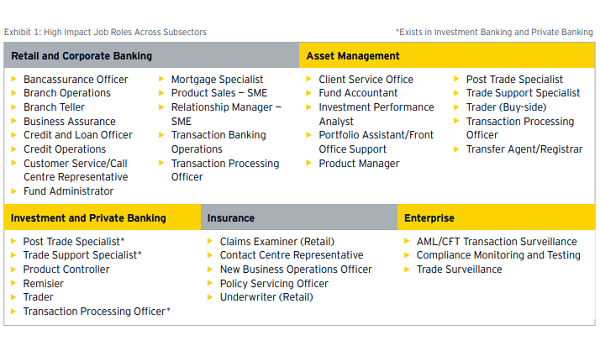 “This is in spite of market talk of rising interest in alternative asset classes amidst a hunt for yield, and testifies to growing capital flows into the more traditional and defensive asset classes of office, retail and industrial properties,” the report’s authors Adeline Chan and Shaowei Toh explained. 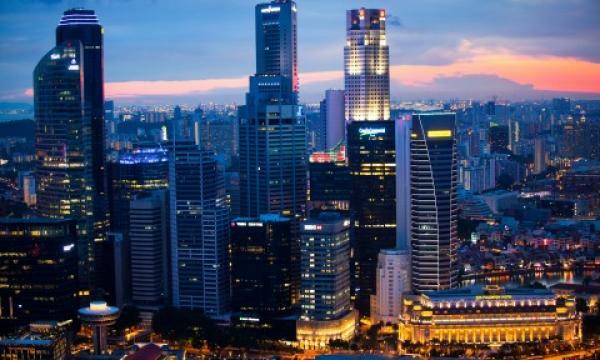 The rental performance in the office market across prime cities in Asia Pacific (APAC) has been largely positive over the last two years, with most markets enjoying strong net absorption and buoyant leasing demand. Rents were also driven by supply constraints, but heading into 2019, the dynamics look set to diverge, the report’s authors noted. In Tokyo and in major Chinese cities, large amounts of spaces are expected to be completed. According to the report, the retail sector is still going through a period of regeneration, as retailers which have yet to adapt to changing consumer habits find themselves continuing to struggle. On the other hand, e-tailers, which first captured the hearts of consumers online, now find themselves with enough of a following to venture into the physical retail space and grow their brands. Meanwhile, demand for logistics space has been strong, as third-party logistics (3PL) providers and chain retailers continued to seek well located distribution units near major ports, railways and roads to facilitate the efficient delivery of goods. This is said to reflect the countervailing effect of the long term trend of growing e-commerce, which continues to play out across APAC. “Other segments of industrial real estate are benefitting from government policy – in Australia, a push for infrastructure projects have given the construction sector a boost, which has in turn been taking up more industrial space,” the authors noted. In places like China and Hong Kong, politics will derive greater value out of industrial land amidst changes in economic structure. This has resulted in limitations of industrial use and constricting supply.